Close to everything, this inviting condo is the perfect family vacation home and a first-time homebuyer's dream! Enjoy the mountain lifestyle in this darling 3 bedroom and 2 bath condominium with beautiful upgrades throughout. Imagine curling up in front of the fireplace while enjoying a cup of hot cocoa and reading your favorite book. 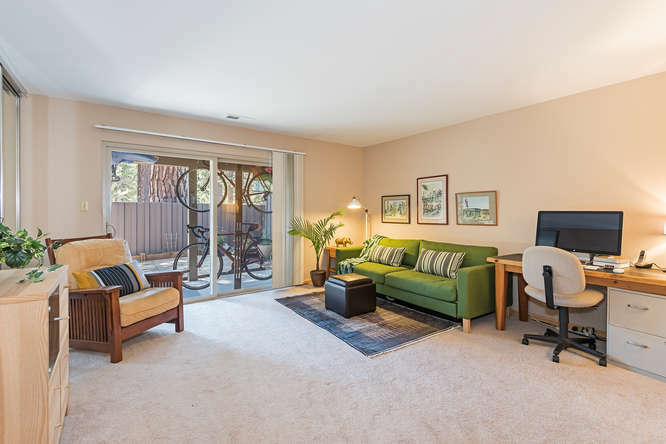 The open beamed ceilings in the living room add to the relaxing atmosphere of this light and airy condominium with beautiful hardwood flooring, upgraded kitchen and a private deck off living room. 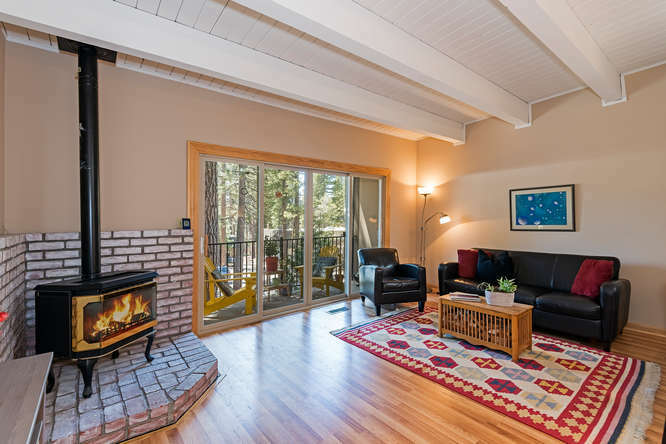 The downstairs bedroom has access to a generously sized fenced in back patio ideal for storing all your Tahoe gear, or for creating your own little green oasis! 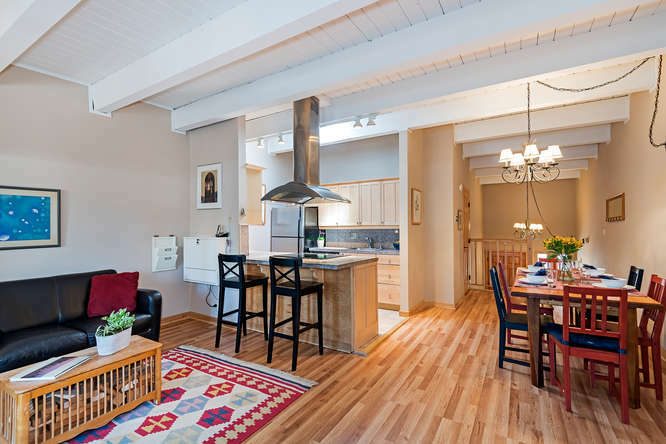 Whatever you decide to do with all the extras this place has to offer, coming home to this warm and inviting condominium just may be the right place for you! Don't miss out on this incredible opportunity for calling Lake Tahoe "YOUR HOME"!